The Akha of Northern Laos have their own traditions and way of living. In Vientiane, a young working woman and a young night guard cross paths in an office. 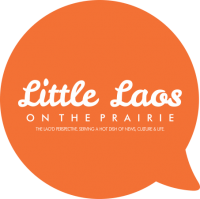 What makes Lao people happy? Let’s get a few answers. A simple girl is living a simple life in Thailand with her beloved mother. Young Lao singers keep their traditional folk songs alive by learning this art from their elders. Three illustrators show their artwork and discuss their impact on a new generation in Laos. Two kids are on the way to enjoy the countryside, but are not prepared for nature. Young Lao and Cambodians who live in San Francisco talk about missing their homeland and introduce us to their daily life. A young woman is trying to find her own identity behind a closed door. The Nam Ou is one of the main rivers in Laos, where the Khmu people have lived and died from one generation to another. Previous PostShould President Obama visit Laos?